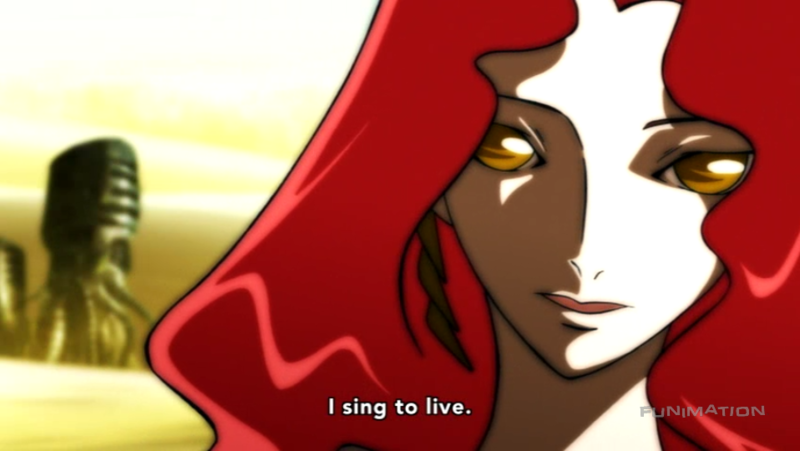 Casshern Sins is a relatively old show – old in “anime time,” as I like to say, having come out from Madhouse in 2008. 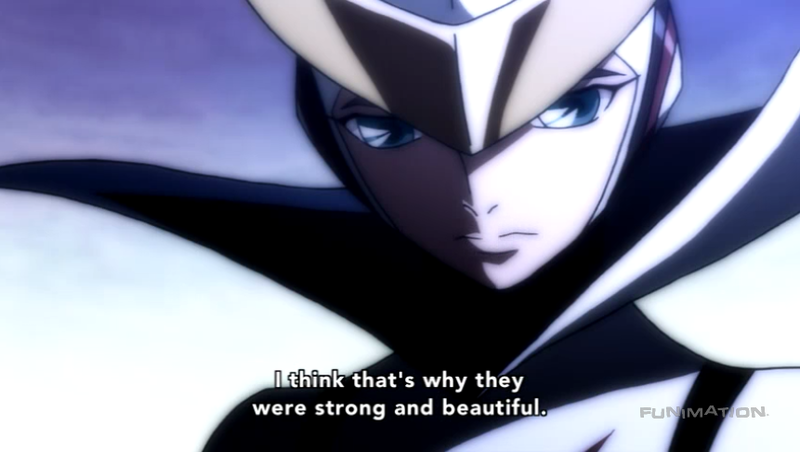 It is a reboot of an actually old Tatsunoko show also titled after its protagonist, Casshern, but I haven’t seen that. 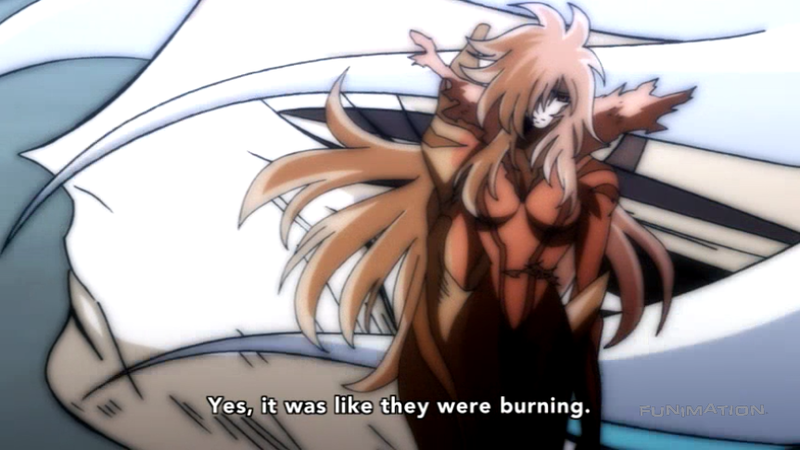 It doesn’t seem to matter, as anywhere you look will tell you Casshern Sins shares no sort of continuity with the previous entries in the franchise. 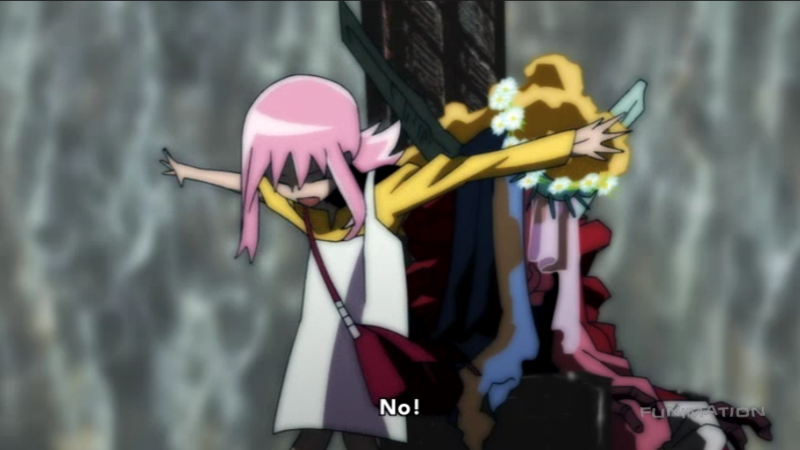 This whole situation isn’t entirely dissimilar from the much more recent Tatsunoko reboot Yatterman Night, but I’m not here to talk about that. 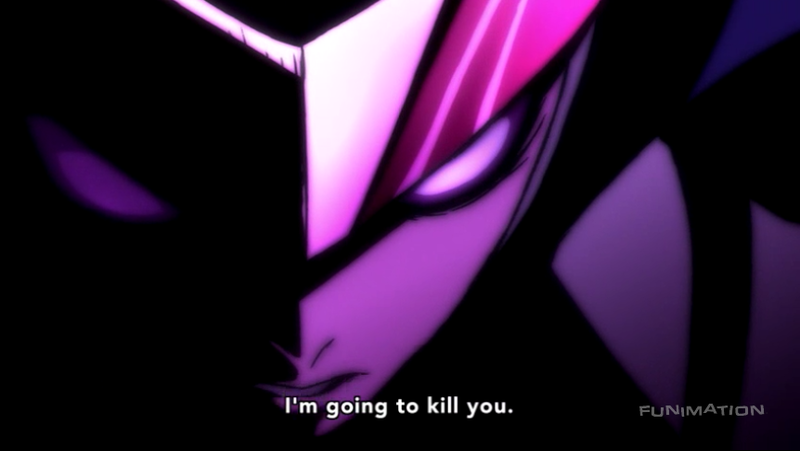 We are quickly told, though, that Casshern doesn’t remember this event occurring. 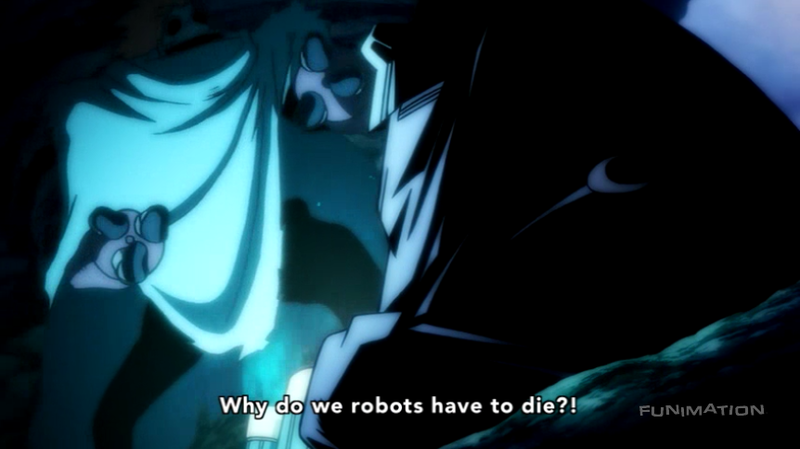 He doesn’t even remember his name, but the robots around him inform him of that pretty quickly as they surround him, chanting various forms of “kill Casshern!”. According to a rumor that quickly spread among the robots, killing and eating Casshern will reverse the effects of the Ruin and grant the immortal life they once had before Luna died, because Casshern himself is immortal. Sounds insane, right? 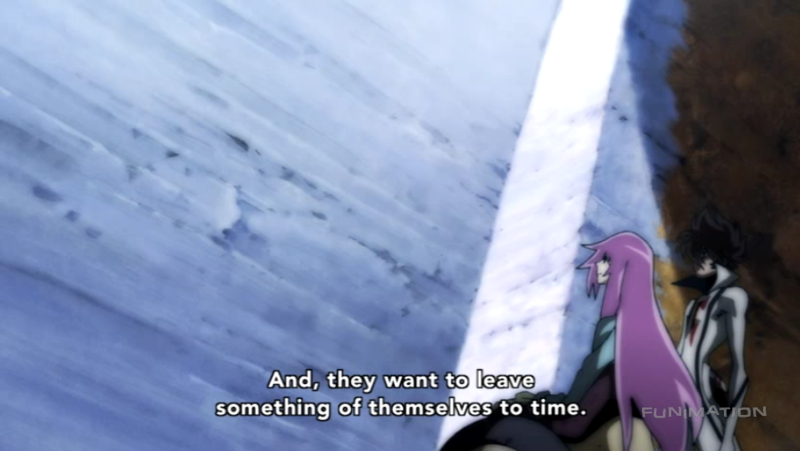 Well, absurd as it seems, this also serves as a fitting start to what Casshern Sins continues to spend twenty-four full episodes ruminating on – how scary and mysterious death is, and how we deal with the inner crisis that comes with understanding that time ends eventually for each of us. 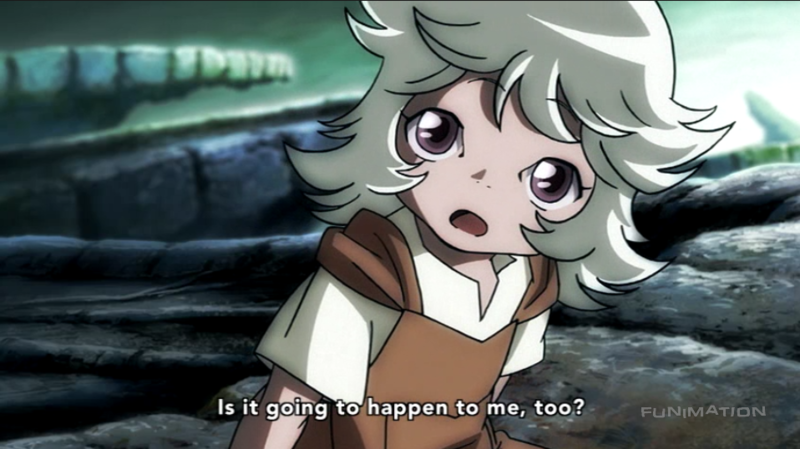 The first episode presents us with two very extreme versions of this – the angry robots, clinging to a ridiculous concept to keep hope, and also cast mainstay Ringo, a child who doesn’t seem to be afraid of the Ruin at all. 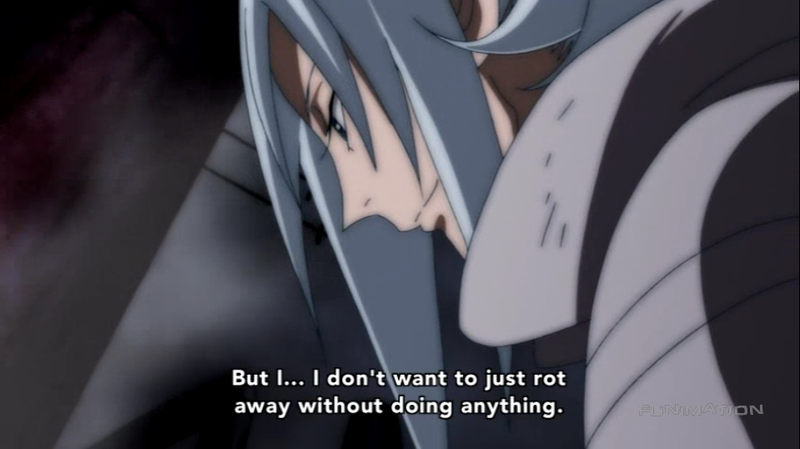 Casshern Sins isn’t content to stop there, though; it is smart enough to know that there exist grays, different interpretations of what makes life worth it when we know it will all end anyway. Those grays come in the form of the people Casshern meets throughout his journey of self-discovery. 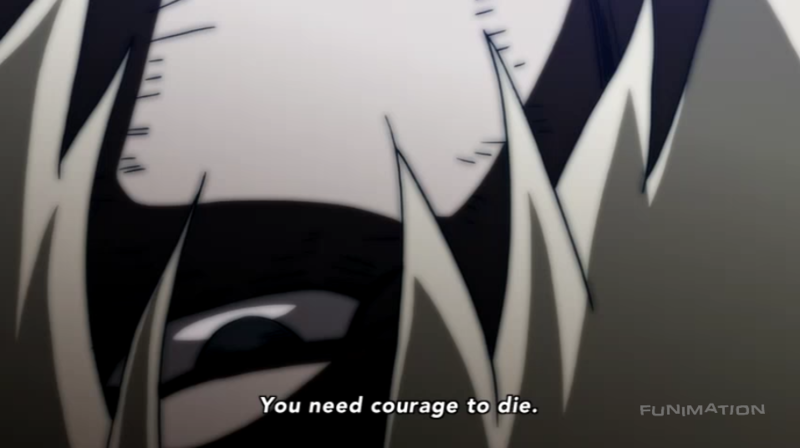 Say what you want about those robots who are intent on eating Casshern; at least they are being honest about their fear. 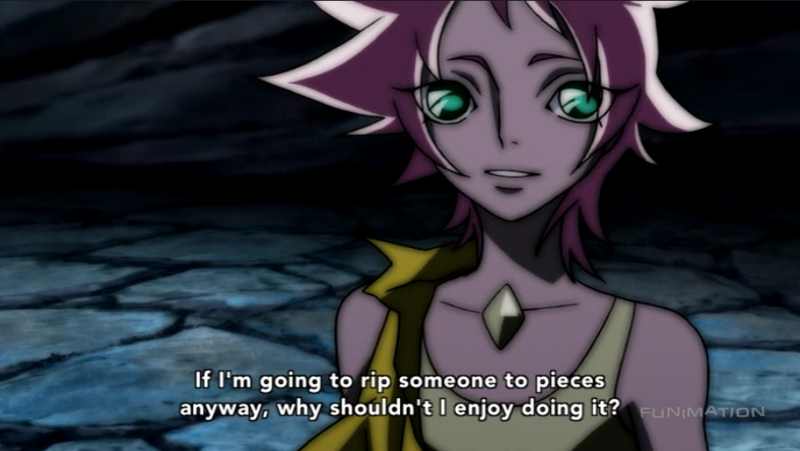 Casshern meets plenty of people who aren’t so resolute, people who lie to themselves about how comfortable they are, as we so often do. This comes in a few forms: a commune that claims to have come to terms with their demise (until another option presents itself); a woman who sees death as an excuse to see no value in life; a little girl who cares for others haphazardly, and at the cost of her own life. These kinds of unhealthy ways of understanding and dealing with mortality can be presented in a harsh way, but they are also highly relatable feelings we go through while working out our own relationship with death. 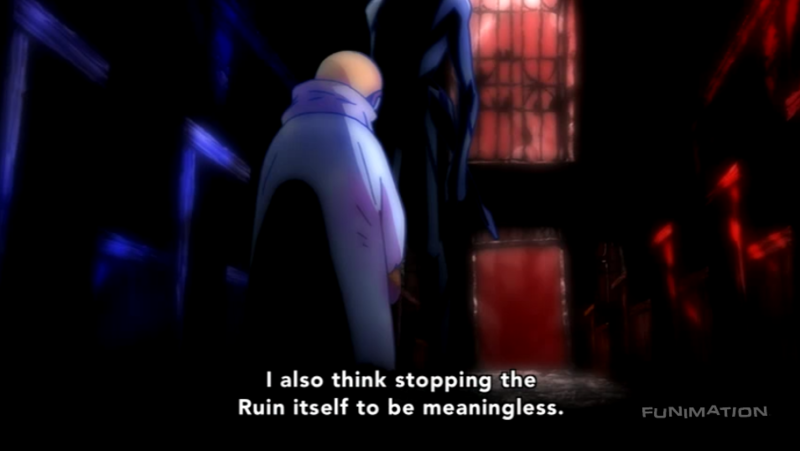 Casshern Sins understands that, and through the still-learning Casshern himself, expresses a resounding empathy for those trapped in these kinds of patterns. 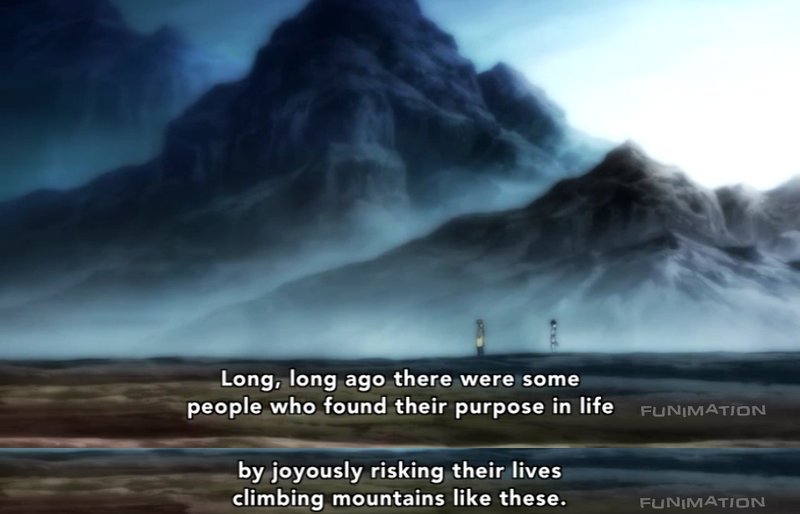 Of course, a more mature outlook involves seeing purpose in a seemingly purposeless existence. 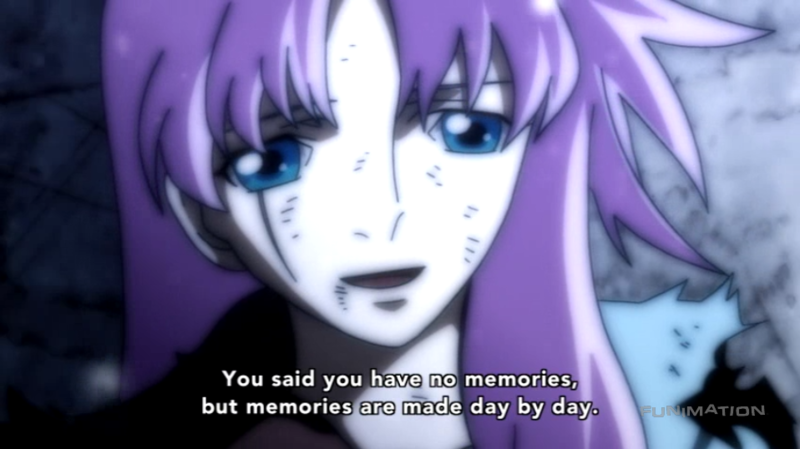 These characters are more complex, their feelings more abstract than the binary life and death continuum that most of the robots in the show believe to make up reality. 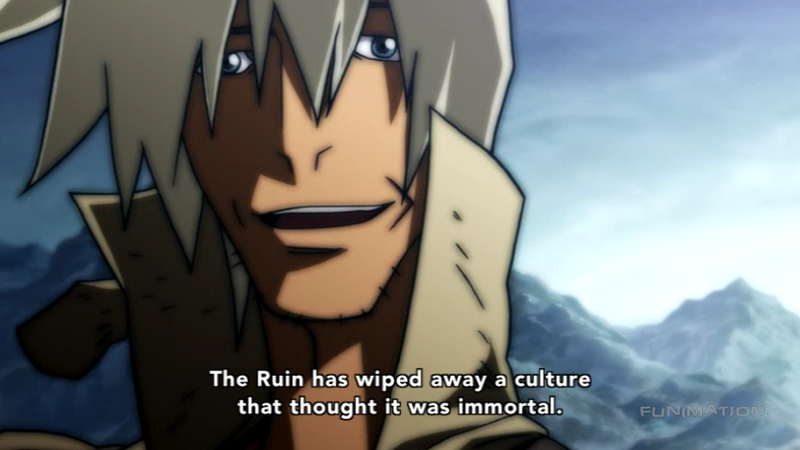 The Ruin is a scary new reality for the robots in Casshern Sins, yet we can find an eerie similarity to how we deal with our own lives through the characters in the show. There is Janice, for example, who sings for the downtrodden, giving them a symbol of hope in a world that is literally falling apart. 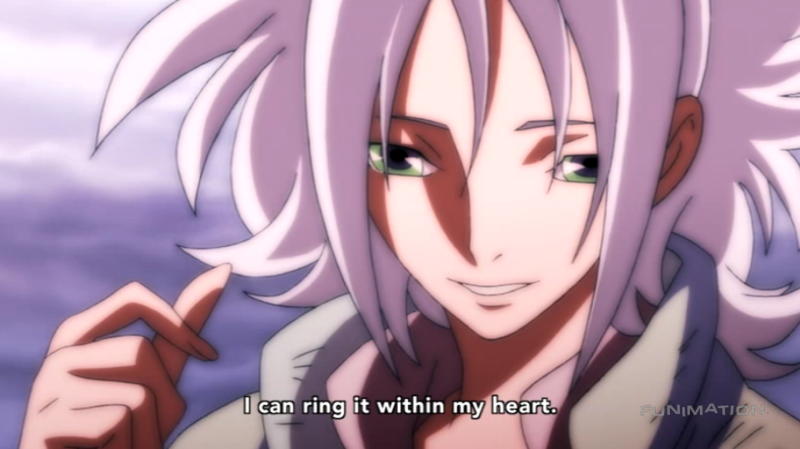 Janice’s song is even played multiple times throughout the show as things continue to look bleak for Casshern and company, as if he remembers her song to give himself strength, or perhaps simply to remind us that there just might be a light at the end of the tunnel. Some, like Lizabel, create wonderful things with grand goals of reminding people that, despite the hardship and sometimes overwhelming sense of unfairness, the world is still beautiful, and they still fail. 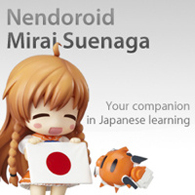 Not everyone has to be an idol to find inner peace and purpose, though. 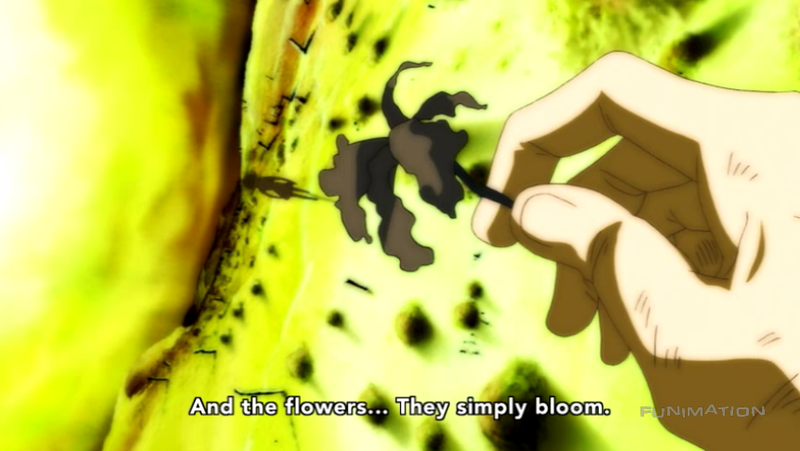 Lizabel finds herself unable to complete her project, and is therefore unable to bring the reminder of beauty she so wanted to create into the world, but along with Casshern, she realizes that she doesn’t need a symbol. Sometimes things are just things, and their intent is what brings meaning to life. We can ring our bells with our souls and actions, with the hope of eventually make that bell ring in the hearts of others, too. If I can talk about one more character, I have to go into one of my absolute favorites, Margo. 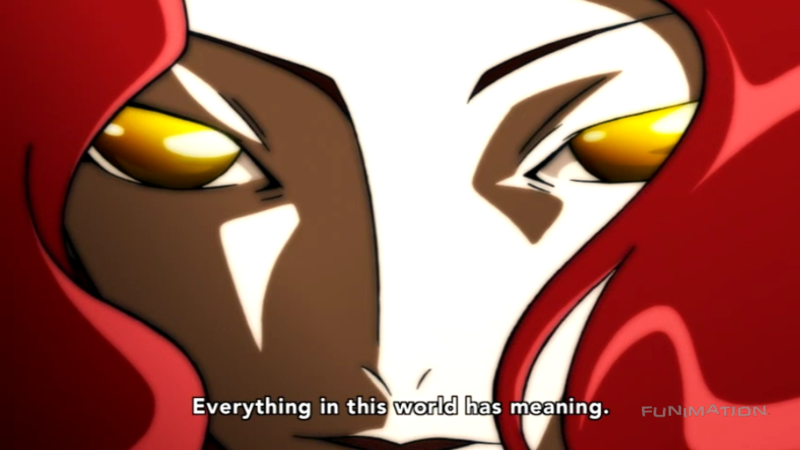 Margo is an oddball of a robot – while the other robots in the cast of Casshern Sins seem to have little to no concept of a world that simply doesn’t contain them any longer, Margo has learned to embrace it. He is an artist through and through, so it is easy to see how he translates his purpose in life to creating said art. 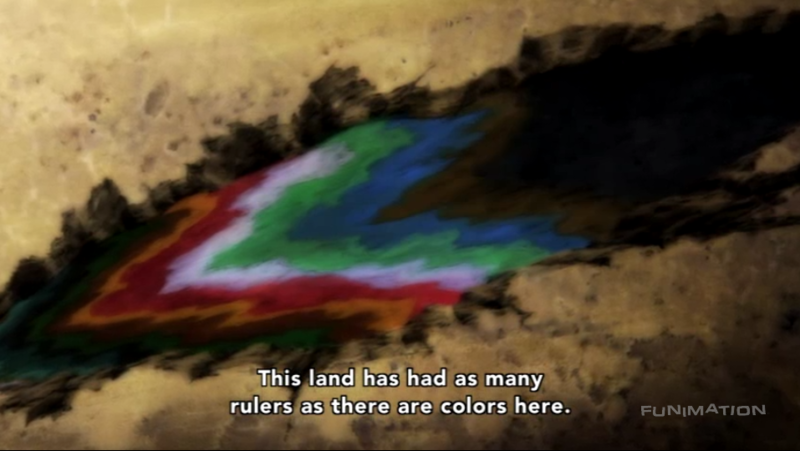 However, he has also learned from the past – he saw how emperors and others created their own form of immortality by leaving a mark on the world so strong that they will never be forgotten, and he attempts to emulate that sentiment. He believes that if we live as strongly as we can in the now, then the future will leave its place for us naturally. 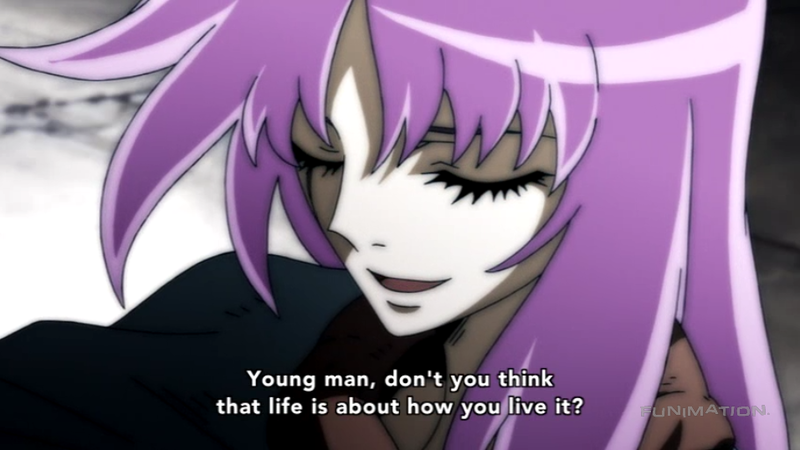 Margo is hopelessly idealistic, but his positivity is unmatched throughout Casshern Sins, a rarity that is as sad as it is difficult to achieve, and is consequently beautiful. 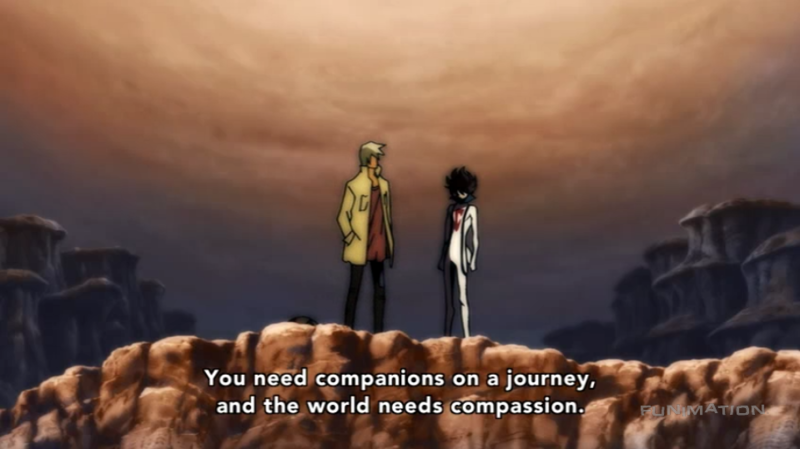 But none of these characters are the main character – none of these characters are Casshern, and in the end, he is really what this show is about. Casshern, the immortal robot who is destined to meet a wide variety of robots and humans whose mortality is quickly approaching. 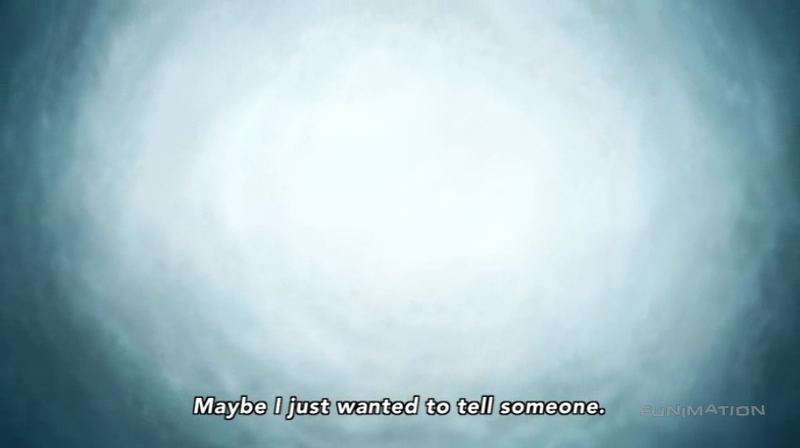 After all this time, all these people met, all these connections cut, what can an immortal being learn from these tragedies he will never have to experience himself? 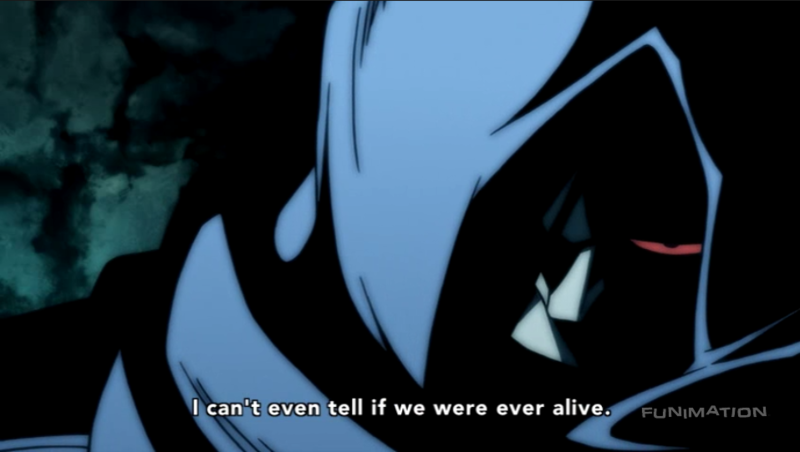 Casshern Sins frames this ultimate question in a rather grand, deliberate way – what if, at the end of it all, it turns out we didn’t have to die? 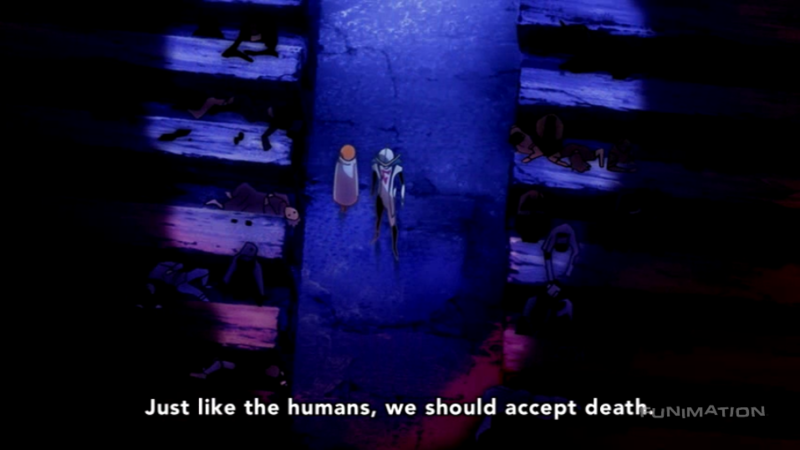 That all of the death witnessed, all of the talented lives lost, could simply be avoided for the rest of time? 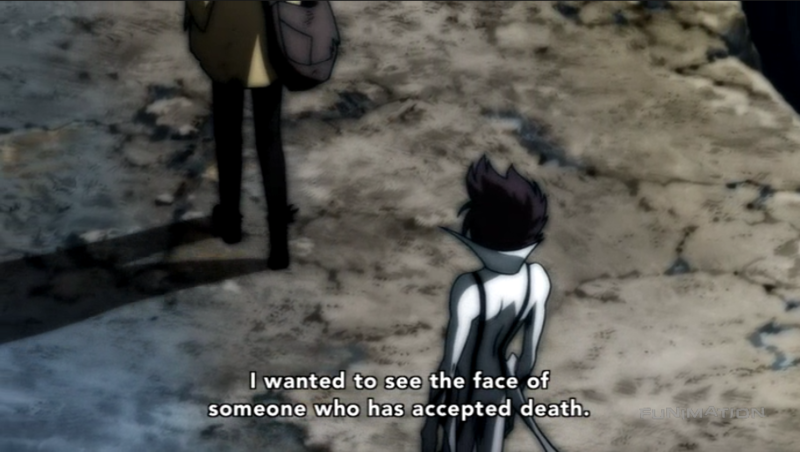 Casshern answers that question with the thesis of the show, the culmination of everything he has experienced and learned in a world where all things must end – death isn’t the reason to find a purpose; the ephemeral nature of things is what makes them worth having. 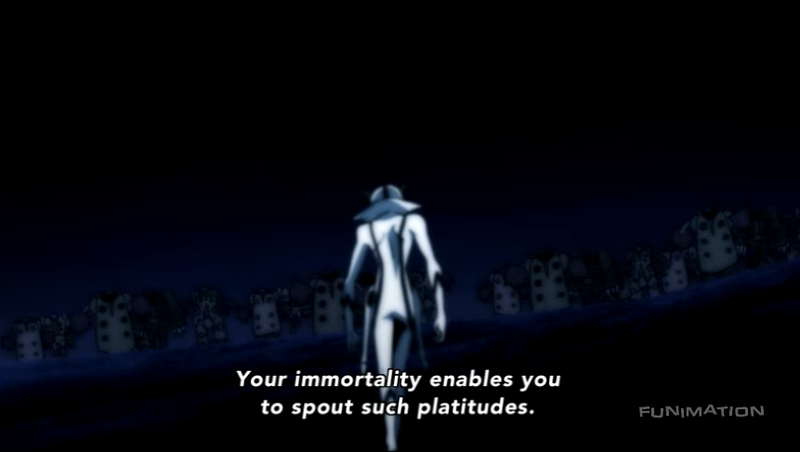 Other characters may insist that it is his immortality that allows him to say this, but that is what makes Casshern Sins’ portrayal of this relatively common thought so poignant. 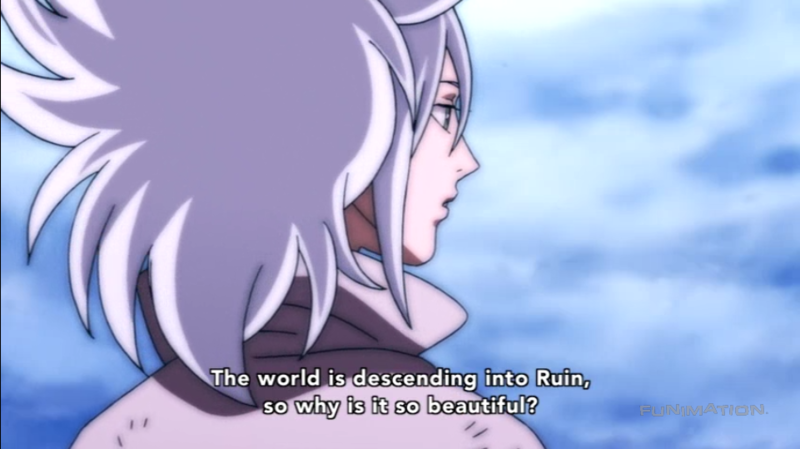 Casshern’s immortality starts as something to envy, as we see the Ruin bring destruction to the world he inhabits. 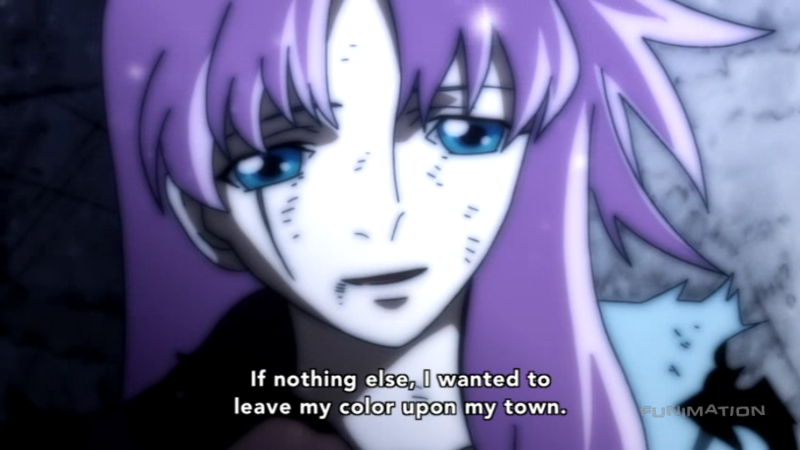 However, as the show goes on, his immortality becomes sad; Casshern continues to meet and learn from these people who have found goals and purpose in life now that it is limited, but he can never experience that for himself. From his perspective, immortality is a flaw that prevents him from being able to truly embrace and appreciate the little things in life like others can. It’s a contradiction, death bringing meaning to life, just like a sun named moon, but sometimes contradictions reveal the greatest truths. 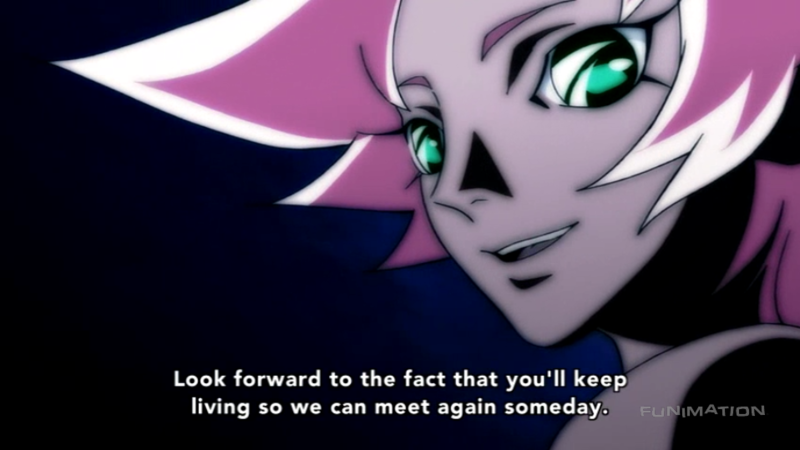 So, in lieu of Casshern, let’s live life like there’s no tomorrow, because there just might not be.